You see, I can truly appreciate a cappellas, and am equally a fan of no music, and not putting a hook on this beat. And yet today, I have learned that the ultimate travesty of a cappella has been committed, and I am of the belief that some people need to be held accountable. Did you know that in 2015, Pentatonix, the homicidally perky a cappella quintet sent by Lucifer to smite us, covered one of the best R&B a cappellas of all time, and with Beelzebubbling JASON DERULO of all people. Well, no one told me until now, thanks to the whistleblowers over at Idolator alerted us to an illuminati conspiracy between Pentatonix and Conan O’Brien to infect America’s ears with this heathen fuckery. The song in question is 1992's “If I Ever Fall in Love Again,” by R&B quartet Shai, and it’s one of the most effective, sensual and mournful tracks of the New Jack Swing era. The original version featured the group administering smooth doo-wops over a light synth oomph, and it was a smash hit, but the superior version is this a cappella, which was official enough that I remember it being played on MTV at the time. But listen to the original and what’s missing from the cover is painfully evident. The song is the truly affecting lament of a man (or men) amid deep regret at how he dogged his last lover out; as he sings “I was caught up in physical attraction,” we’re catching him in the act of growing, at the nexus of the moment he realized he behaved poorly and shouldn’t have. And yet, there’s a twist—they’re together now; she took him back, maybe for his sweet talk, but he’s promising her that he’s learned from it all. She took the fall so his next lover could live. 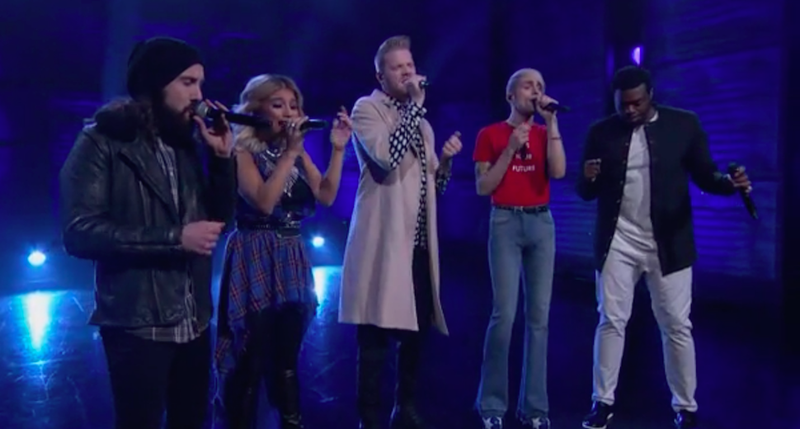 Shai felt it, and Pentatonix spat it out with their demonic professional tongues. May Carl Martin reap the royalties for eternity, at the least.